As an Interior Designer, she has worked and lived in different places, designing ﬁne furniture, for different companies. She has visited many cities in the world and captures her travels in paintings. For several years she lived in the jungles of Cancun. Ten years ago, she decided to exhibit some of her paintings in the Tecnologico de Monterrey. She now lives in Bucerias and exhibits at The Bucerias Art Gallery. Born in Paris, France, Claire has lived and experienced the best in art. She made a decision to move to Alaska in her adult life. She raised a team of 100 dogs and competed successfully in the famous Iditarod race. Claire then journeyed to Mexico where she spends most of her time unless traveling. 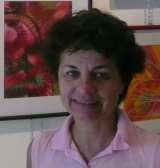 She has studied art for 30 years and has a passionate love of colour and nature. Graciela was always deemed to be artistic: year after year she was chosen as the drama star; singing, composition, drawing and ballet. Her youth was hard to cope with, due to the sudden lack of thyroid, which resulted in depressions. Trying to solve the latter, she tried to maintain afloat; trying to adjust to her new disadvantaged situation, her mind and soul tried to be happy again. It was hard, yet it rendered great richness, both intellectual and spiritual depth. Profiting her English language command, and the studies at Medical School, at the UNAM (National Autonomous Mexico University), she started a career as medical translator. During her spare time, she painted (oil and waterpaint), sketched images; wrote poetry, novels, short stories and composed songs. At 34 years old, she wrote a precocious autobiography, which was able to contest in the prestigious Barcelona Planeta Novel 1984 contest. She wrote a 282 page poetry book; Caleidoscopic Unicorn. Which depicts the early stages of her youth, and cured herself from the painful ghost of past depressions through catartic beautiful poetry, with the joy of finding the joy of life in Mother Nature´s nestling arms. Amongst her interests was also that of traveling; this took her to live 5 short residences in the USA; nanny and student in France and Italy. Finally, thanks to this aim to trying to find Utopialand, she managed to live and work in Spain, during 10 years. So did the Fantasy Dreams Fairy, expressed her smile that night! A happy person by nature, curious about all the marvels in the Universe. Call it astrophysics, or Biology, she adores learning about this incredible micro-macro cosmos. Magical and mystical, with a a little girl´s imagination, she´s a woman yearning to offer her Light, Love and Joy to this planet, through all her artistic expressions. To be able to bring light into the darkness ,in this apocaliptic era, which must transform into happy alchemy. Spending as much time as possible in Puerto Vallarta, Mexico since 1997 and upon retiring from teaching art in the local school system for 30 years, Glen and his wife have been fortunate enough to live here in Mexico during the winter months. "The vast majority of my work is non representational. I have little or no preconceived intent when I begin a piece, rather I take pleasure in experiencing the effects of the paint itself as it is spread along the canvas surface. I want viewers to look both from near and far and to touch the surface. The texture of the paint has a life of it's own. I hope you enjoy them. " My love of gardening and the prairie and coastal landscapes, along with mother natures' presentation of light and shadow allows me to imagine, create and paint to my heart's desire. Watercolours give me the fluid freedom to move colour, create textures, develop shapes, and present a derivative of natures' best. I worked as a Commercial Artist under the tutelage of renowned Canadian artist Bill Perehudoff. I am known for my vivid watercolors depicting landscapes, florals, and unique compositions encompassing a wide variety of subjects. My career was in the education field, having taught art in public high schools, adult education, university, private classes and workshops throughout Alberta and British Columbia. My work is exhibited at galleries in Alberta, BC and at the Bucerias Art Galley in addition to numerous private collections, government and corporate offices. I was the recipient of the award for "Best Work on Paper or Under Glass at the Sidney Fine Art Show 2007. Born in the U.K., Christine lives between Nova Scotia and Bucerias. She studied with several art teachers in Europe, Canada and Mexico. "I am a colourist and love the colours, flavours &people of Mexico. 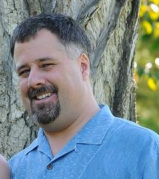 A new resident of Bucerias, Jamie has been vacationing in Bucerias for several years. This year she looks forward to meeting new people and getting involved in the community. Her first priority was to volunteer and meet with Manos de Amor, the local orphanage. She loves painting and with the new inspiration surrounding her you will find many new pieces of artwork coming to the gallery. Judy has been painting for more than 20 years. 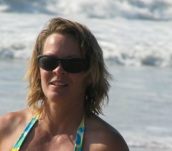 For many years she has been vacationing in Bucerias and enjoys the local culture and scenery. Her art is an interperatation of that. Many of her pieces highlight landmark places and the many familiar faces we all come to love. I have pursued my love of art and made it my passion over the past 8 years. The classes that have motivated my various art works have been mixed media, oil, acrylic, water color and water color pencils, and pencil crayons. My favorite medium is oil as it allows the use of various tools and techniques. The themes I enjoy are landscapes, buildings, flowers and dogs. Since retiring from teaching, my love of children and art has given me the opportunity to be a Artist in Residence at numerous elementary schools. Teaching through art is perfect for me an the children. Who Should Win the most imaginative and creative Recycled Bottle Christmas Tree? The subjects of Bridged's paintings are as varied as her interests and include subjects dear to her heart such as the beach, rocks and ocean, Africa, Mexico and even ballet. Bridged's style is firmly expressionistic and her palette as vibrant as her surroundings. Although an amateur Tosia has found an outlet for her love of animals and the outdoors through her art. She enjoys sharing photographic and artistic renderings of her visions of nature, with those who wish to look just a little bit deeper into the shape and colour of a flower, or the expression on a cow's face! Husband, father, Realtor and photographer. His is not your typical "Mexico Story". John, his wife Christie, and their 4 children moved from Alberta, Canada to sunny Bucerias in 2003...never having visited Mexico before! A few years after John and Christie started their real estate company, Elements Realty Group, John decided he needed a new camera. They went to Vegas to get one. After playing with his shiny new camera, he realized he knew nothing about photography. Thus began a three year love (and loathing) of his treasured Nikon. Robert Hansen is a photographer from the San Francisco Bay area who now lives in Barra de Navidad with his wife Rocio; who is native to Mexico. He came to Mexico several years ago on a sailing adventure along the Pacific Coast and fell in love with Rocio and with Mexico. His photos feature a vintage nostalgic emotive of people and places of Mexico. He has exhibited widely and you can now see more of his work at The Bucerias Art Gallery. I have been painting since I was a child. God gave me a talent to express "His/Her Major Plan ". I love the manifestation of life and emotions, blooming from our inner Source of Spirit through the eyes and smile. The radiance of our Real Light Nature. My name is Isis Eglé. I was born at Mexico City in 1979 and now live in Puerto Vallarta. Since 1998 I have worked professionally as an illustrator devoting my work to popular sayings. These sayings pop up almost every where, from every forgotten corner, of this playful country where double meanings are just another form of colloquial communication. I started drawing professionally with the exhibit "No te claves corazón" (Don´t nail yourself sweetheart). By then, my work was only about the ink, which traced lines and the white on the cardboard. This changed little by little, until becoming some colorful images that, despite the enriched tones, are till very respectful of the clean, uncluttered look that has become my trademark. I am trying to illustrate everyday sayings, heard all over, from slang to spicy pun. Yes, my work is intended to get a smile! The Bucerias Art Gallery is proud to offer Isis original works. CoCo has studied art in Winnipeg at the St. Mary's Academy, The Toronto College of Art and Nova Scotia College of Art Design. Most of her work as a muralist can be seen in the following cities around the world; Saratoga Springs, N.Y., Deerfield Beach, Florida, Ottawa Ontario, Toronto, Ontario, Malaga, Spain, San Blas, Mexico, Brighton, England, and Chicago, Illinois. A fun tidbit of information is that she is the great grand niece of Louis St. Laurent, Canada's 12th Prime Minister from 1948 to 1957. She currently exhibits in Etobicoke, Ontario at Images and Frames Gallery, Guanajuato at the El Viejo Sanguin Galeria and in Bucerias at the Bucerias Art Gallery. Johanne grew up in Quebec, Canada. After her retirement she studied at the Art School of Calgary for two years. Here, she developed her impressionist style which allows for great freedom of expression. Johanne paints in rich direct colours, adding fantasy and abandon to her work. Johanne is living her dream of expressing herself in oils and has a studio in Nuevo Vallarta. If one of her paintings brings you happiness, she will have reached her goal. Imagine working alongside positive fabulous women and creating friendships like this! _Everyone has a sign on them that says, "make me feel appreciated and validated'. Send someone a surprise Thank You in the mail. Join our movement. Fill out the info on the right and I will send you a link to the coolest online tool you can use to send a thank you in the mail in minutes. _Thank You Aunt Lia. The card was really cool. I LOVED IT! I'm on the cover playing my favourite sport. _Make it a habit to tell people thank you. To express your appreciation, sincerely and without the expectation of anything in return. Truly appreciate those around you, and you'll soon find many others around you. Truly appreciate life, and you'll find that you have more.